The Gramercy Ballroom & Restaurant has been hosting and celebrating commemorative events with the families of the Wyoming Valley since 1938! Located on Main Street, in the newly revived and bustling City of Pittston, the Gramercy has been owned and operated by the Augello family for eight decades. Founded by Giuseppi and Giustina Augello, the business has been successfully passed down from generation to generation. For nearly 40 years, Michael and Susan Augello, along with Sam and Marcella Augello, ran the business. The Gramercy Ballroom and Restaurant is now owned and operated by Michael Jr. and his wife, Mary Pat Augello, both lifelong residents of Pittston. At the age of 98, Michael Sr. still begins and ends his day at the family establishment, as he has since 1938, when his parents started the restaurant. In the 1940s, the Gramercy was a favorite stop in Pittston, operating as a pizza tavern and then later, a night club. After World Word II, the Augello family converted the establishment into a ballroom to accommodate the surge of weddings following the end of the war and return of the soldiers to the area. With the conversion of the tavern to a restaurant and banquet facility, private dinning rooms were added along with the ballroom. The Gramercy now features a full bar and restaurant, and three private dining rooms; the Justinian Room, Carnation Room, and of course, the Ballroom. The private dining rooms and ballroom can accommodate a small group to as many as 350 people. In addition to weddings and rehearsal dinners, the Gramercy hosts all types of events, including showers, reunions, anniversaries, birthdays, graduations, funeral gatherings, business meetings, political and fundraising rallies, and holiday parties. All arrangements and food for banquets or large scale events are conveniently taken care of on-site. 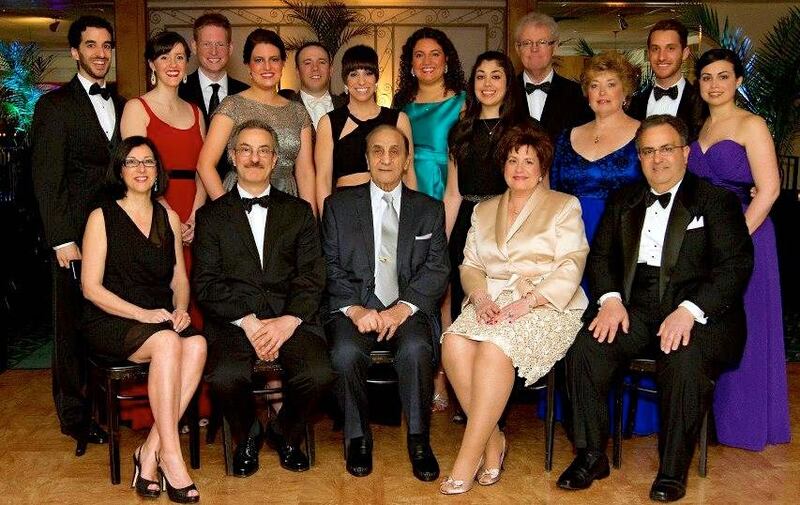 Since the Gramercy’s founding, several couples have celebrated both their weddings and their 50th wedding anniversaries at the Gramercy with the Augello Family. It’s a family tradition! The Gramercy Restaurant is still a hot spot for daily dining, open Tuesday to Friday for lunch and dinner, and on Saturday for dinner. The menu is mostly Italian-American, with some unique Sicilian specialties like stuffed artichokes (when in season), pasta puttanesca, tripe, and pasta con sarde. The Gramercy’s famous pan pizza, the one that started it all, is still being served along with steaks, chops, and seafood dishes. The Gramercy Ballroom strives to provide memorable occasions and fabulous events for all the important times in life, and great meals everyday in between. Menu selections are subject to availability, and pricing is subject to change.